In a time when the dating game can be whittled down to a simple finger swipe (Tinder, that means you) other companies have started to take notice. 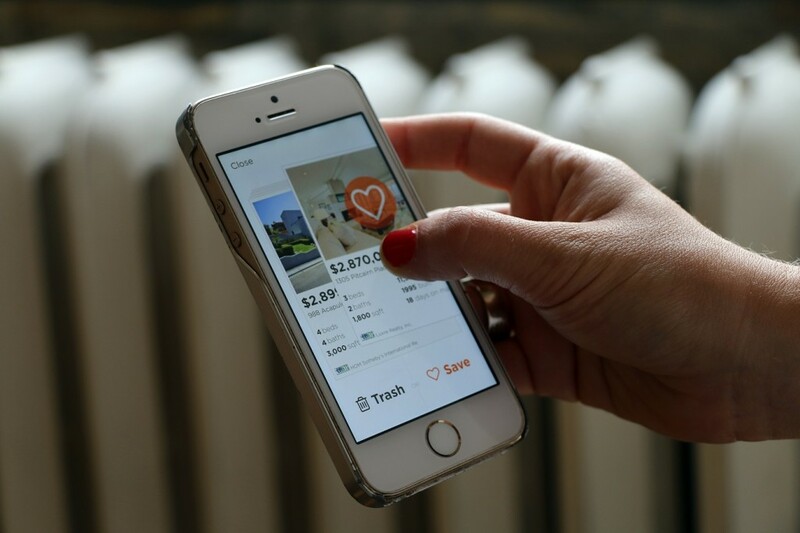 Seattle-based real estate website Estately, which launched in 2006, has just introduced their own version of the matchmaking app, only with two major differences: it displays homes instead of people… and you don’t have to be single to use it. Galen Ward, the company’s co-founder and CEO, says the launch of Estately Flip is meant to simplify the house hunting process and make it more enjoyable. Here, we chat with him about the idea behind the concept and how it’s already becoming a must-have (read: addictive) tool for homebuyers. BuzzBuzzHome: Before we get to the app, let’s rewind to the idea behind Estately when the company launched in 2006. Galen Ward: Estately is a real estate site that my co-founder, Doug Cole, and I started. We were both looking for a better way to shop for homes and wanted something that was comprehensive — a site where you felt like you could do the whole process, like work with an agent and also have a great online experience. It was about putting together something that gave more information about homes, like Walkscores and nearby schools, that people really care about. It’s about more than just square footage. BBH: With the millions of apps that exist, how did you manage to make Estately stand out? GW: We launched Estately 1.0 in January of this year and were really focused on iPhones only, which is a huge market. We wanted to develop a simple, best-of-breed app with very few menus where people could save homes and receive instant alerts on what’s going on in the market near them. People are constantly using their phones, whether they’re just bored or in front of a house for sale and want to see what’s inside. Version 2.0, which came out last week, includes Flip. What we found is that a lot of people look at the same properties over and over, because they forget two weeks after looking at it. There are also houses out there that may match your price range but aren’t necessarily the right fit for you. It’s like Tinder: if you make a checklist of all the attributes you want in a person, and then the website serves them up to you, you’ll probably reject a bunch of them. BBH: Did Tinder influence the flip gesture, and would you compare it to the dating app, despite the obvious differences? GW: Yeah, ours is probably more accessible to people who are already in a relationship [laughs] but it’s actually pretty similar. With our early data now, almost a week in, we’re seeing that for every home that someone favorites with Flip, they trash six homes. I don’t have data on how Tinder works, but it feels about right. You can’t pass on a home. You have to either trash it or save it. BBH: What is it about the swiping motion that appeals to people so much? GW: I think it’s the focus. Instead of having a list and just browsing through it, it’s more like a video game where you’re knocking things down. It’s like the perfect combination between ADD and focus in our generation. You can swipe, trash and favorite in two seconds. It gives you the same excitement as updating your newsfeed on Facebook or posting a tweet on Twitter. There’s something visceral about it. BBH: What are the upsides to using a mobile device to house hunt instead of more traditional methods? GW: It’s really interesting. The mobile device is just a different and more intimate experience. People spend more time on it. We put this data out last week and I almost didn’t believe it when I compiled it, but the average person opens our app 20 times a month. That means a lot of people are opening it more than that. When on their phones, people are just compelled to open it. It’s a very different experience from sitting down at your computer and opening your browser or typing in a URL. BBH: What’s one of the biggest trends you’ve noticed since the app first launched in January? GW: Well a big focus of our app are the push alerts. The market, at least on the West Coast and in some key U.S. cities, has really turned around in the last two years. I was just looking at some user feedback we got this week, and one person said they received an alert even before their realtor. They made an offer on the house that same day, and without Estately, it likely would have sold to someone else. We’re focused on getting those alerts out to the user within 10 to 15 minutes of a house being listed. So the timeliness is really key for us. BBH: What else can Estately users look forward to in the coming months and year? GW: Right now, we’re looking at the newest version of iOS that’s coming out in a month or two. We have some really cool features on the way that we’re not talking about just yet. But as a company as a whole, we have many users, so we’re going to try to go deeper and hold their hand through the entire process. The internet has made it easier to search for homes, but it hasn’t made it all that much easier to actually get through the process of buying one — finding the right agent, finding a house, selling a house, getting a mortgage, getting pre-approved — all of that is still really confusing. So we’re going to work on having people there to help those searching for a home. The app works with over 75 Multiple Listing Services (read: no missed homes). It has 20 per cent more listings in all top metros in the United States than national sites. Estately updates each listing every 15 minutes, which translates to over 100 listings per second.